In the present design we can activate or deactivate 9 devices. Each device is locked using a 4 digit code (password). The code can be set as per the user’s desire, hence the name ' PROGRAMMABLE '. For the device to be activated (unlocked), the user should enter the code that had been entered when the device was locked. In case the user enters the wrong code a silent alarm will be activated. ( i ) Keyboard unit. ( ii ) Display unit. ( iii ) Control unit. In this section we will be explaining the hardware design these units individually. Each unit description is accompanied by its circuit diagram. The keyboard used in this system is an encoder type. 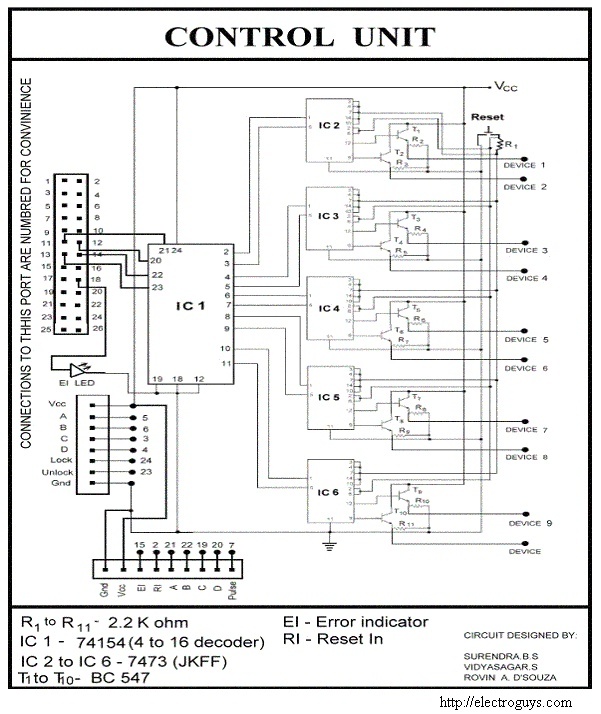 It uses IC 74147 priority encoder to convert the entered the digits to its corresponding binary codes. IC 74147 has a active low inputs as well as active low outputs (for more details please refer the corresponding data sheets). Each of the pins are activated using push to on switches. These switches ground the encoder inputs to activate that particular number giving the equivalent BCD code. This is then given as input to IC 7404 which is an inverter. To avoid loading of 7404 by the later stages transistor switches are provided to each of its outputs. 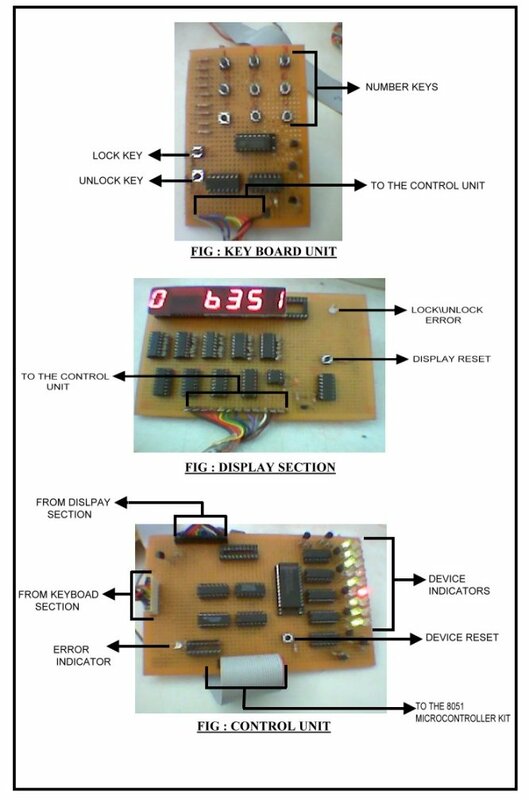 The circuit diagram of the keyboard is as given in the next section. The logic used here is shift and display i.e. when the next number is entered the previous number is shifted to the left by one unit and then the next number is displayed. To achieve this we have used IC 7496 which is a 5–bit shift register (for more details please refer the corresponding data sheets). The data lines from control section are given serially to the registers as shown in the circuit. The clock to these registers is given by the program every time a button on the keyboard is pressed. 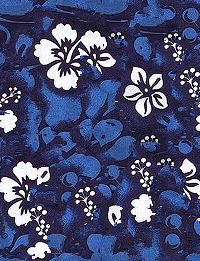 The shifting used here is parallel shifting. The outputs of the registers are given to CD4511 BCD to seven segment decoder. The seven segment display used are common cathode type since the output of the decoder is high when activated. This section consists of a reset switch which is used to reset the display. The ‘Electronic device number lock’ system is a high security system.The main application kept in mind during the design of this system is to secure expensive electronic devices and machinery. The access to such devices can be restricted to particular users only. The system is highly secured since the code can be changed every time the user locks it. This can also be used an physical lock by using solenoid and thus can be used to lock safes in banks or other institutions. Regular electronic number lock available in the market can lock/unlock just one device, but this design can lock/unlock up to nine devices.